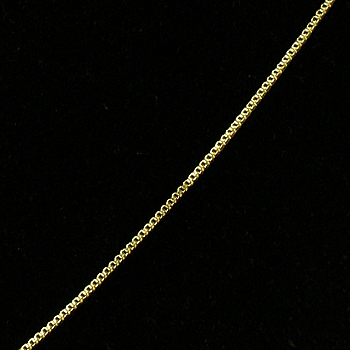 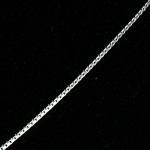 BRACELETS, EARRINGS, PINS, PENDANTS & MORE! 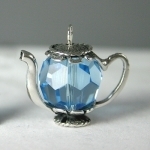 Easy Shopping - Register or Simply Check Out! 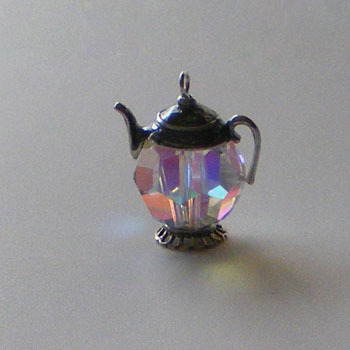 Make sure you have everything you need. 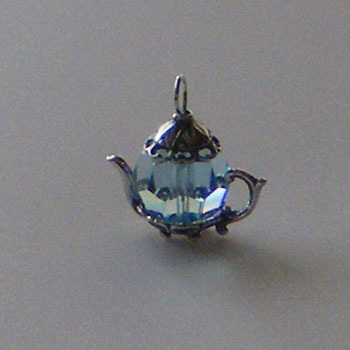 Get a set of Earrings to match your Pendant. 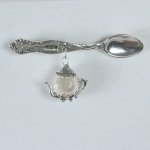 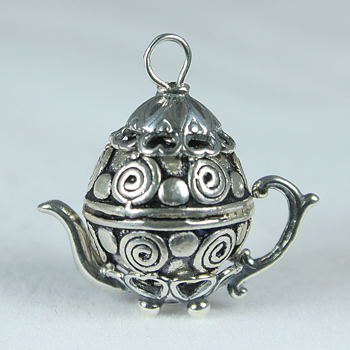 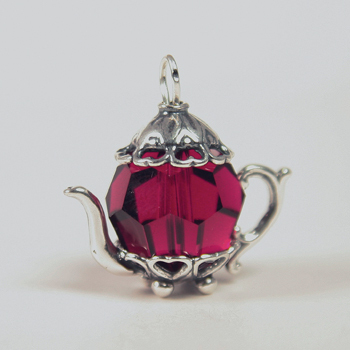 Welcome to the home of the original Tiny Teapot Jewelry, THE world's leading source for Sterling Silver miniature teapot theme jewelry as featured in Tea Time Magazine, the World Tea Expo and many of the world's best loved tearooms. 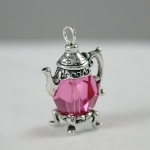 For more than 25 years we have excelled in providing the most beautiful and comprehensive collection of superior quality bead based Tiny Teapot jewelry available anywhere. 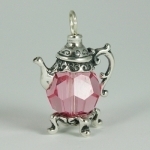 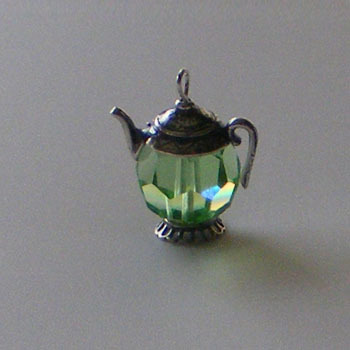 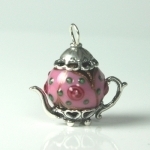 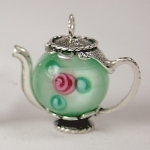 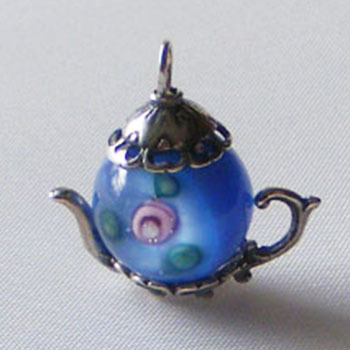 Choose from hundreds of items such as necklaces, charms, earrings, bracelets and pins.Tiny Teapots are made from Swarovski crystals and pearls, Vintage Venetian, Czech and Chinese lampwork beads, sterling silver, Chinese porcelain and other rare beads. 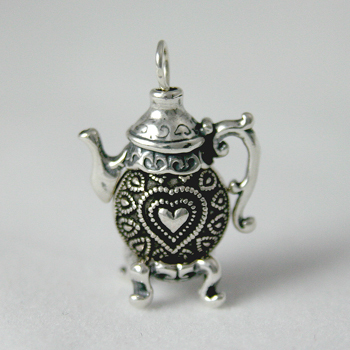 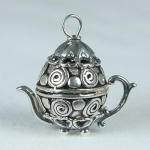 Our line of hand crafted Tiny Teapot jewelry is available to both wholesale and retail clients on our secure site. I love everything you sent me! 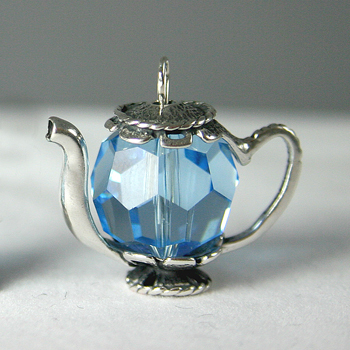 They’ll be a real hit at my party. 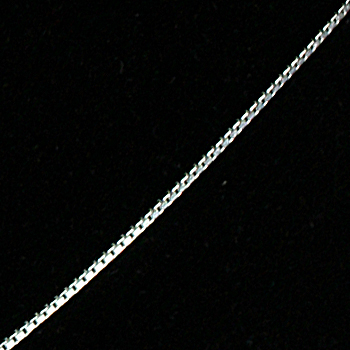 Thanks for all the time you gave us to help design just the right bracelets. Teapot Jewelry/Shiny Stuff is not affiliated with Pandora. 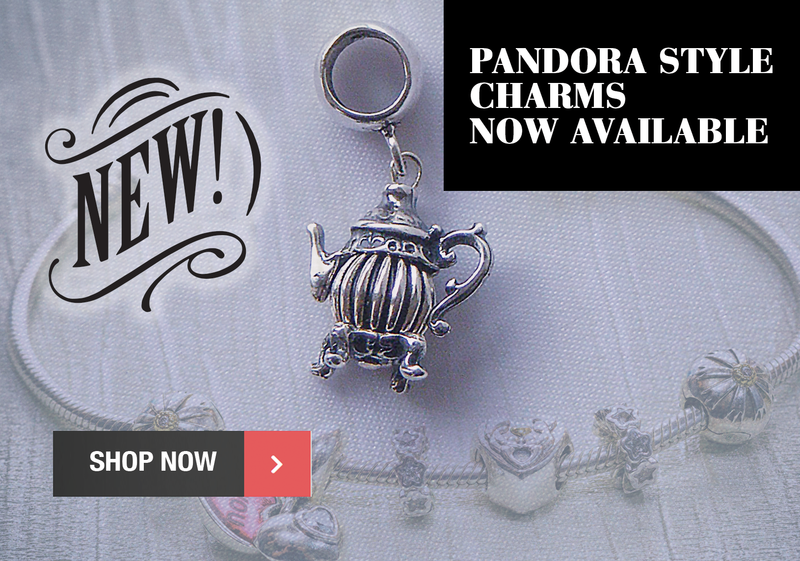 Our charms will fit these style bracelets.